Every now and again, an issue re-surfaces in coaching sessions, and I feel the need to write about the issue again. 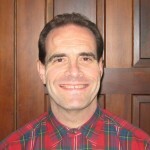 Recently, the power of a compassionate smile has been a topic of conversation. Many people with Parkinson’s get extremely self-conscious when going out in public. There is the whole concern of people staring and wondering what is wrong with you. You already are not happy about the way you look or move or feel, and this exacerbates the problem. Oftentimes, the sense that people are staring causes symptoms to rage out of control…more tremors, more stiffness, more slowness, more sadness. Instead of staring at the ground as you shuffle passed people in public, what if you stood as straight as possible, looked them in the eye, and gave them a great big smile. That’s right, a smile! The difference between people having pity for you and them having compassion for you is all in how you view yourself and present yourself in public. If you are self-conscious and stare at the ground making no eye contact, people will pity you. If you hold yourself up, look them in the eye and smile, people will have compassion for you. You control how you will be viewed. Why not make it healing for yourself and for the other people. Your smile will help with your recovery. One of the things about Parkinson’s is that you lose your ability to feel joy. Mostly, you are consumed with how badly you feel physically, mentally and spiritually. The feeling of joy opens your heart and helps the dopamine flow. 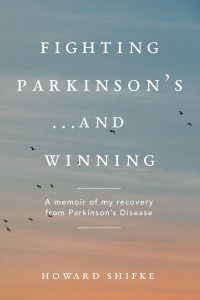 First, you need to know that if you hide Parkinson’s, then Parkinson’s wins. Second, if people are staring at you, it probably is because you are moving slowly and walking poorly. They are not thinking bad thoughts about you; they probably are confused. There is an easy fix to this. Look the person in the eye and smile. It is the compassionate thing to do for the other person and it is the compassionate thing to do for yourself. And when you smile, make it a big, ear-to-ear smile, the kind of smile that sends a message to the other person that says, “Thank you for your compassion. I am okay.” This act all by itself will help open your dopamine faucet. But wait, it does not stop there — generally, smiles are infectious. Most of the time when you share a smile, you get one back. This compounds the joy. The other person smiles back and their heart opens and feels joy. 1. The way it is now. You are shuffling through the parking lot at the grocery store and sense somebody staring at you. Your tremors rage, you are stiff and slow, you look at the ground and you wish there was a hole you could go into. The other person remains confused by your situation and reaction. They feel pity for you. 2. Same scenario, big smile. You are shuffling through the parking lot at the grocery store and sense somebody staring at you. You look them in the eye and smile, your heart opens and you feel joy. They see your smile and smile back, and they feel joy. They have compassion for you as expressed in their smile. You see them smile back, and you feel even more joy than before…and here’s the proof that your joy opens your dopamine faucet a bit — your tremors do not rage, you do not slow down, you do not stiffen up, and you do not look at the ground — instead, you are looking for the next person to smile at because it feels so good. This is how I began to feel joy. The sad part is that it had been so long since I had smiled so much that my face hurt. Imagine, my face hurt because I was using muscles (my smiling muscles) that I had not been using on a regular basis. In the end, this was “good pain” as my smiling helped increase my joy, which opened my dopamine faucet. And then give your Parkinson’s a smile…it won’t know what to do. I know this works. I will go first. Here is a big smile for each and every one of you. This is a really great post Howard. I was so bad that I did not want to be seen by anyone. The funny thing was I didn’t even look bad, but I felt terrible and felt that everyone was looking at me saying, “oh my God, what is wrong with Tony.” It wasn’t until I announced my condition to the world which helped take the pressure off. Being happy, confident, and reassured in your own skin will cause you to get to complete recovery. When you walk around smiling and happy, it shows the world that you are okay, and before you know it, you will be okay. There is an old saying “fake it ’til you make it.” Much love to you Howard and all the Warriors! So true. While in the grocery store someone was looking at me and I smiled and they smiled back, it was like a ray of sunshine. Thank you so much for the post, Howard! A timely one for me. That’s right. No matter how bad our physical selves might look at times, the eternal sunshine of our spotless HEART ( rather than “mind”) goes on. This realization in itself is relieving and reassuring enough to keep us going. My pleasure. I can honestly say that doing the ACIM lessons daily keeps me grounded and peaceful, especially during those difficult moments when my symptoms get more pronounced following my juicing detox routines. I use an iPhone app with audio recordings of the lessons and reminder functions to stay on track. Thanks to all in this group. I needed to hear every last word spoken by each person. May all of God’s love be upon every person and upon everything you do.